Click the link above to visit the author's web page. 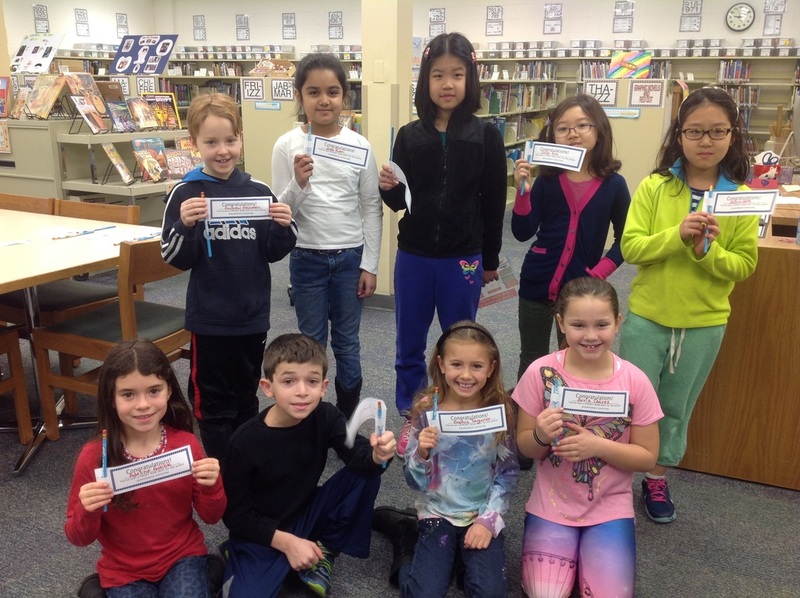 Winners of front row seating for the author visit. Creative connections inspired by Barb Rosenstock's books. After weeks of preparation in the library, art room, music room, classrooms, and even at home; Half Day students and staff were rewarded with a visit from Barb Rosenstock. As she walked through the school before the students arrived, Barb was impressed by the many creative connections on display. *Original flags and baseball cards inspired by the quote, "This was the United States of Baseball, and Joe DiMaggio was its president" from The Streak. *Models and paintings inspired by The Noisy Paint Box. The lively large group sessions focused on the book The Camping Trip That Changed America. We learned that it came about because of a photo of Theodore Roosevelt and John Muir that Barb came across while looking for a place to vacation in the mountains. Barb's trip to Yosemite turned into an opportunity to gather primary sources for her book research, but that wasn't the only research she used. In fact, her research for the book was in a large bag which was several inches thick! Isabella realized that, "Whenever you look something up to find something out, you're doing research." With a few props and student volunteers, we learned that characters are one of the most important parts of the story, and the author's job is to bring those characters to life. 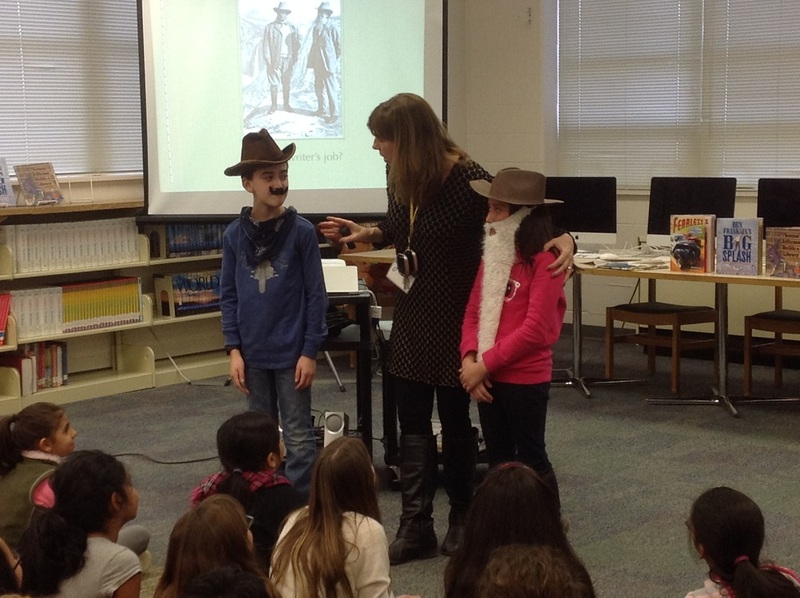 "The mustache on Theodore Roosevelt was funny," giggled Grayson. 1. Use your senses to add details to your writing. 2. Circle the 1st word in each of your sentences. Make sure they are all different. 3. Count the words in each sentence and make sure to vary the length. 4. Use a word bank of interesting words related to your topic. Christina said that one of the most memorable parts of the presentation was getting those writing tips. 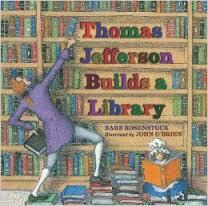 Natalie wanted to know which of Barb Rosenstock's books was most popular. 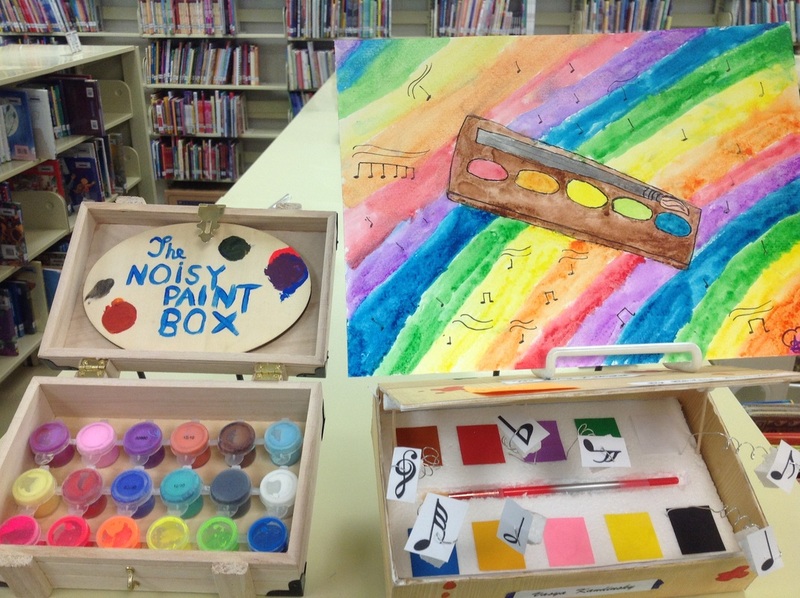 It turns out that Half Day's favorite and Barb's favorite is also the most popular...The Noisy Paint Box. If there's something familiar about the illustrations, you'd be interested in the fact that the illustrator, Mary GrandPre, is also the illustrator of the Harry Potter books. How cool is that! In the afternoon, each class sent an Author Ambassador for a writing workshop with no writing. Instead, students talked about the shape of a story and about the framework Pixar uses for all its movies. Props were pulled out, and students had to decide the order the props should appear in the story. 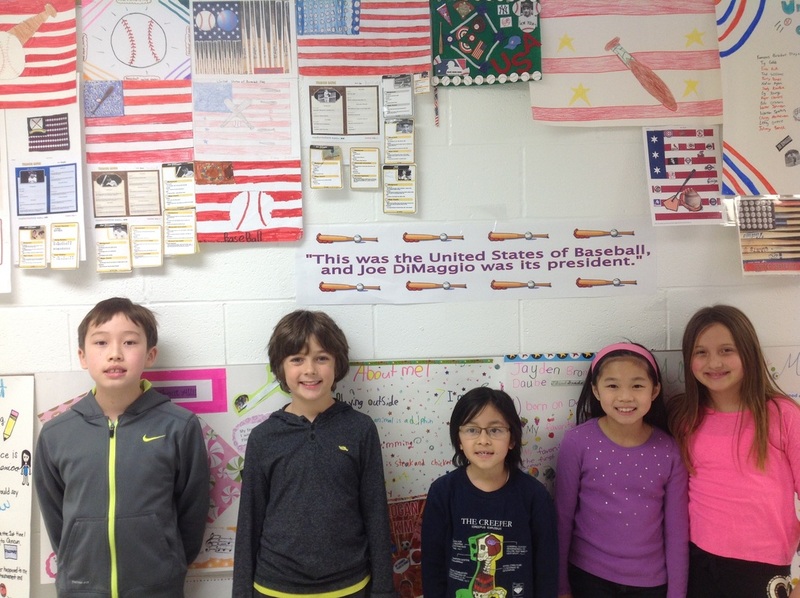 Finally, students used their props to tell a part of the story. They had to listen carefully to what came earlier in the story in order to connect it to what would come next. 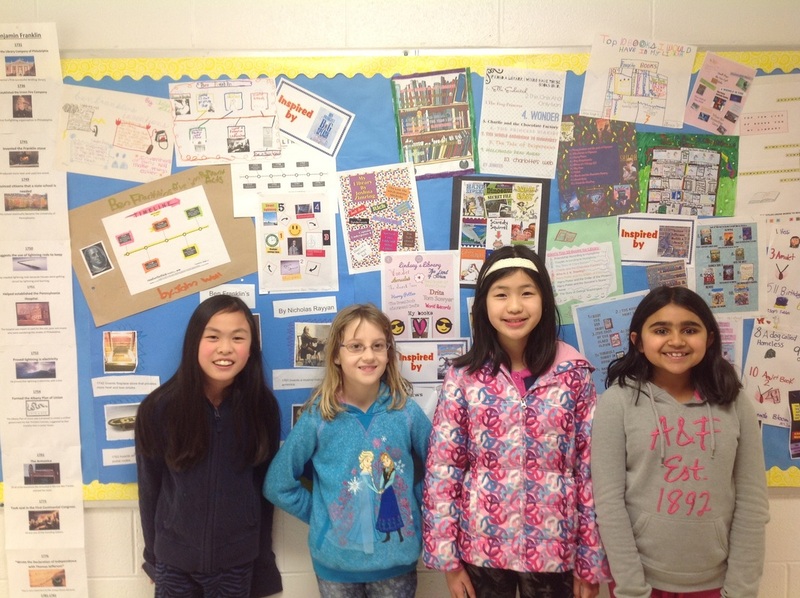 Author Ambassadors will share what they learned in the small group with their teachers and classmates. 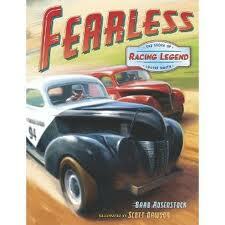 We loved meeting and learning from Barb Rosenstock and look forward to her upcoming books. Two that will be coming out soon are a book about Dorothea Lange, a female photographer during the Depression, and a book about Vincent van Gogh, a famous artist. Other books in the works are about a bluegrass musician and another about a man in India who used scrap materials to build a 20 acre village that remained a secret until recently. 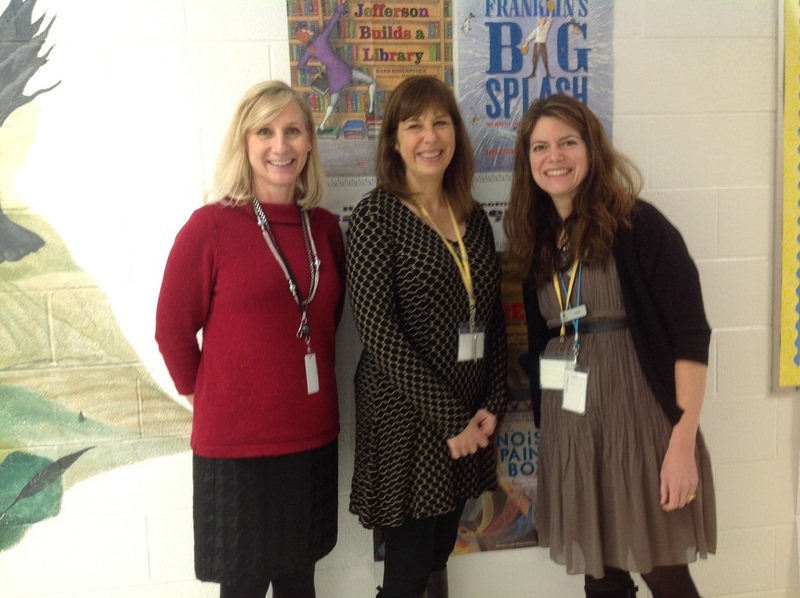 We are very grateful to Vernon Area Library who worked with us to make this author visit possible! Click the cover to see a video preview.